Express your fashion sensibility with the Birkenstock Gizeh Leather sandal. The leather upper of this women's casual sandal is crafted in a carefree thong. Cork and latex assure shock-absorbing abilities; the cushioning, punched EVA sole can be replaced. 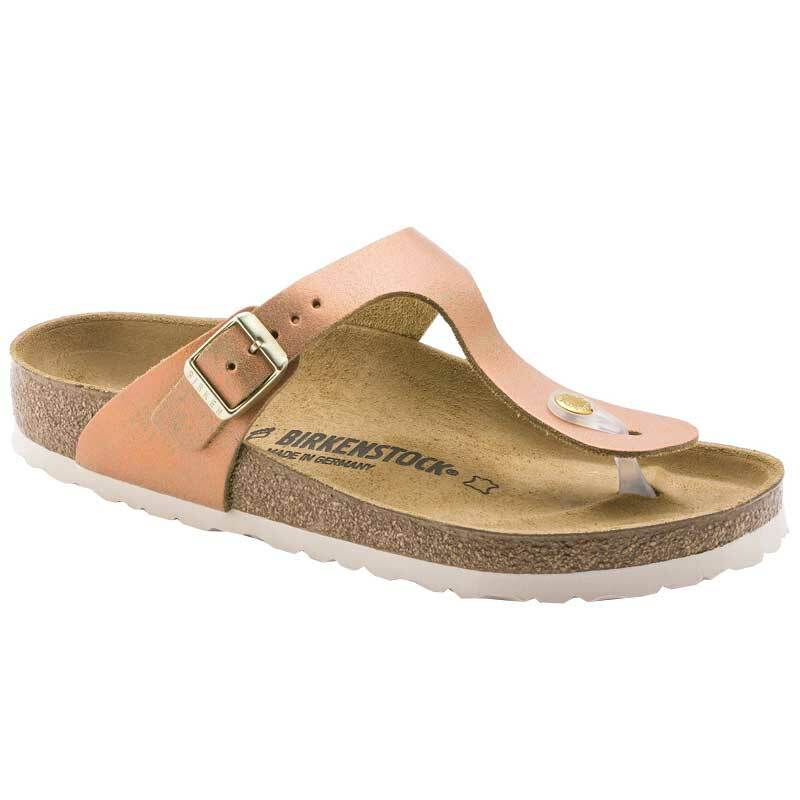 The contoured footbed of the Birkenstock Gizeh sandal creates a natural walking motion for your leisurely ventures.